Your home can be warm and cozy through brutal winters with a high efficiency furnace and a priority service and maintenance plan. 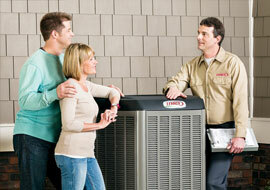 Choose from various energy efficient cooling systems to keep your family comfortable. Ductless and combination systems are available. Keep the hot water flowing with a hot water heating system that meets your needs. 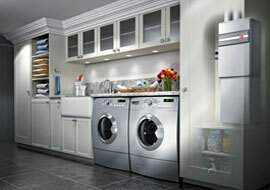 We offer tankless heaters and rent-to-own heaters. Reduce indoor air pollution. Keep your family breathing easier with ventilation equipment that drastically improves your home's air quality. Harris Heating & Air Conditioning Services is a dependable and affordable heating and cooling company based in Windsor, Ontario. Our primary focus is on keeping your home comfortable year round with professionally installed heating and cooling systems. At Harris Heating & Air Conditioning our licensed and insured HVAC technicians install and repair most makes and models of furnaces and air conditioners including ductless air conditioning. All of our products and installation work are guaranteed. Our heating and cooling services include installation of new furnaces and air conditioning systems, emergency furnace repairs, preventative maintenance plans, and installation of hot water heaters – both traditional and tankless hot water heating systems. We also provide a variety of solutions to improve the air quality of your home. When it comes to solving the heating problems of Windsor and Essex County home owners, you can count on us. Our heating technicians are highly trained and knowledgeable in all areas of furnace installations and repairs. This includes ductwork, gas appliance hook ups, and hot water heaters. If you’re considering renting a hot water heating system, we now provide hot water tank rentals. 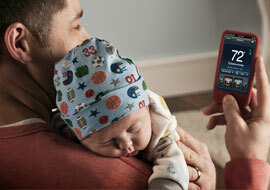 We install only high quality and proven products that won’t leave your family in the cold. If you need heating service we are available 24/7. Our goal is to keep your home comfortable all year round. Professional and knowledgeable team. They have prompt service and explained everything in terms we could understand. 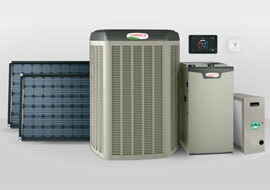 Best heating and cooling company in the city. My heating bills were ridiculous. The service tech installed a programmable thermostat and I'm saving lots of money. Thanks Harris Heating! We were coughing all the time. Harris HVAC performed an air quality test during routine maintenance. Now we have a fresh air exchanger and are breathing healthier air. Our A/C unit kept freezing up during a heat wave. When Harris came out, they quickly discovered the problem and were able to fix it without costing me a fortune.